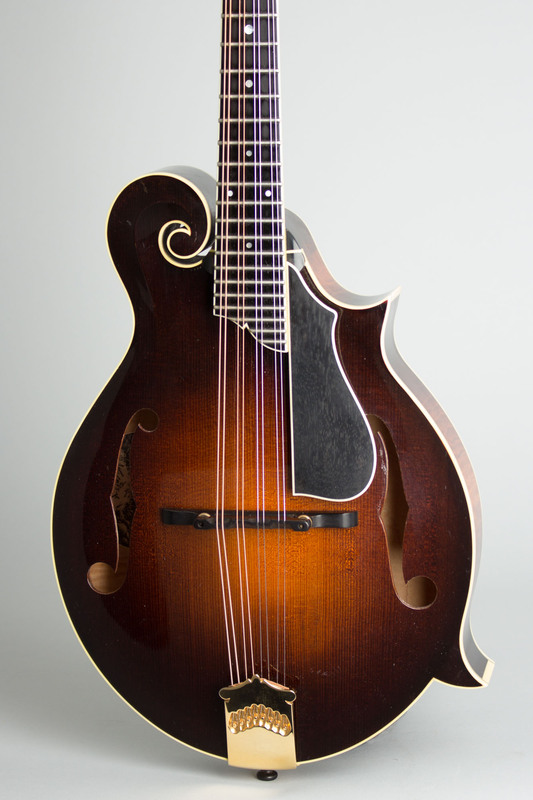 Collings MF5-R Model Carved Top Mandolin (2002), made in Austin, TX, serial # 43, Cremona Brown Sunburst finish, maple back and sides, spruce top; maple neck with ebony fingerboard, original black tolex hard shell case. 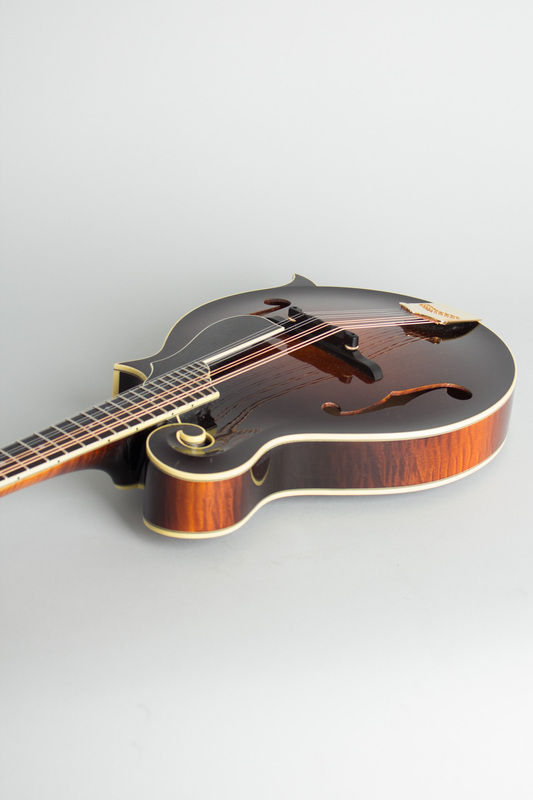 This is a very early example of one of the best regarded of all modern F-5 descendants, the Collings MF5-R. The hand-written serial number is #43, so it is one of the first 50 built in the initial production year of 2002. 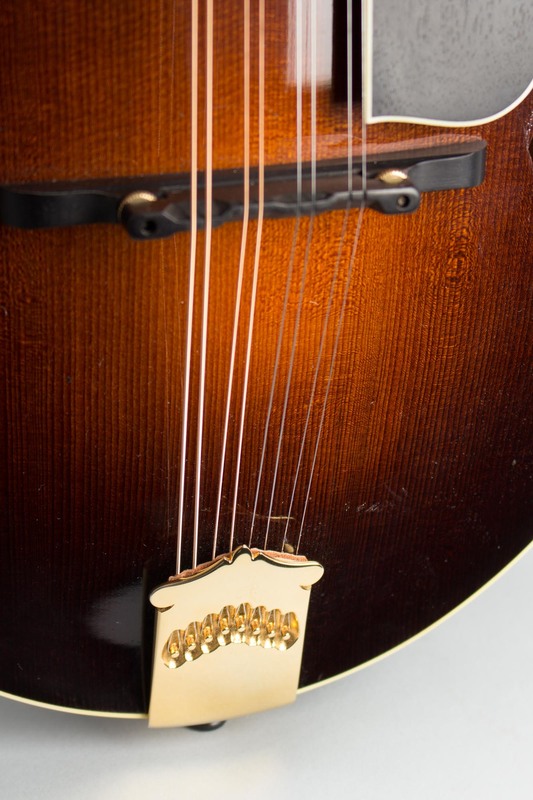 It also bears Bill Collings' signature on the label. 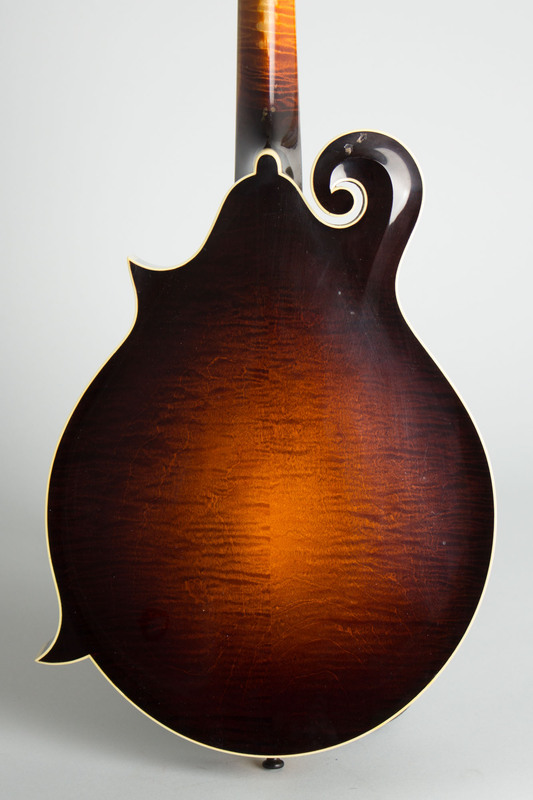 The "R" suffix designates a red spruce top option; the back, sides and especially the neck are beautifully flamed curly maple. 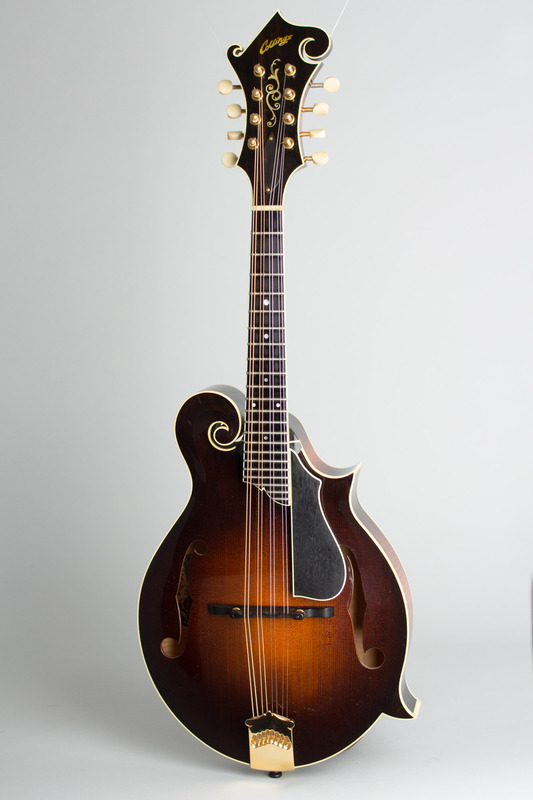 The craftsmanship and sound of this mandolin are exceptional for a modern instrument in this price class; this one has been played and well broken in and has a superb range from a classical whisper to a bluegrass bark. Overall length is 27 1/2 in. (69.8 cm. ), 9 15/16 in. (25.2 cm.) wide at lower bout, and 1 13/16 in. (4.6 cm.) in depth, measured at side of rim. Scale length is 14 in. (356 mm.). Width of nut is 1 3/16 in. (30 mm.). 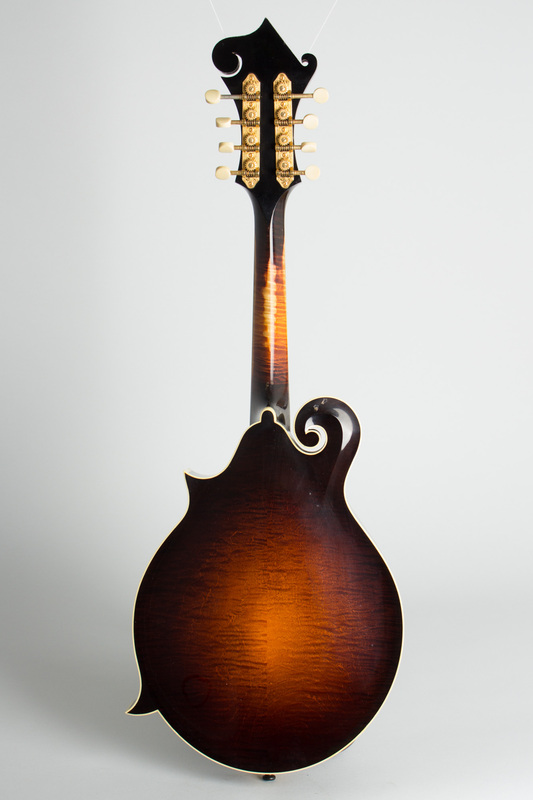 This mandolin has been played but remains all original and well cared for. 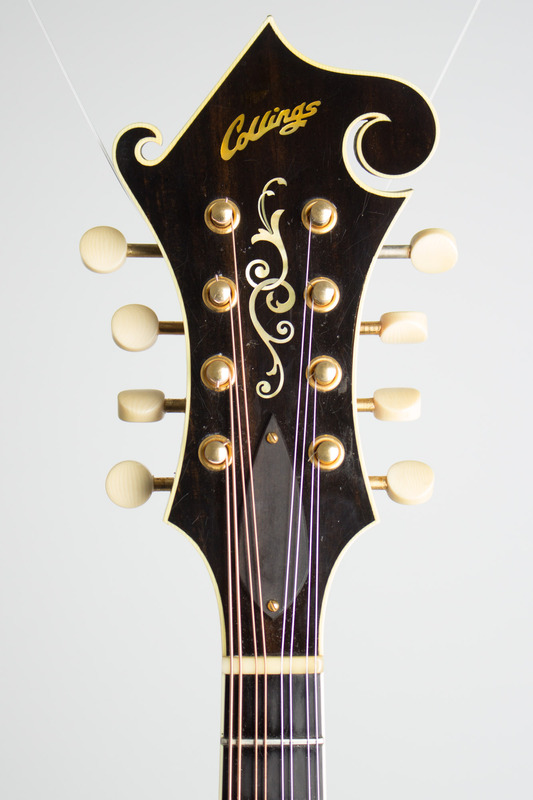 The finish on the back of the neck shows wear down to the wood on the center spine and both sides. Overall the finish shows some small handling marks, mostly very light scuffs and dents. 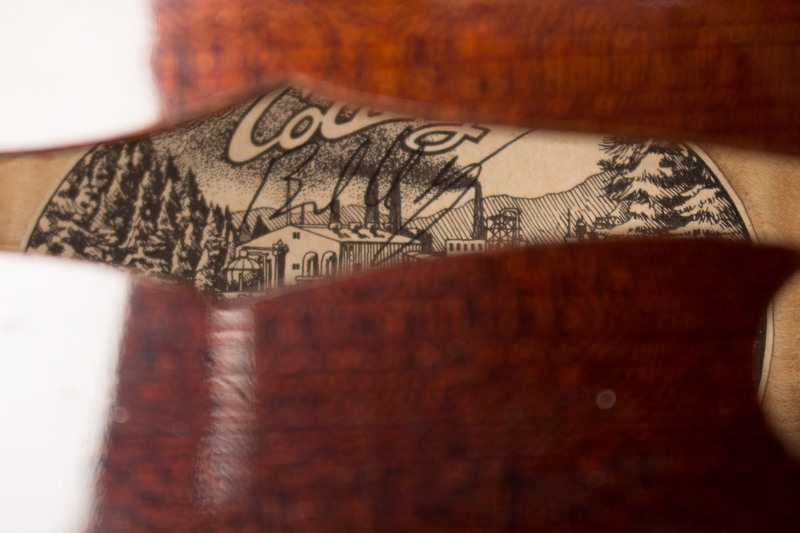 Two chips to the wood on the back of the scroll are the most noticeable. The top is very clean showing only light scuffing in spots. The deep Cremona brown finish and heavy gold plating show great rich color with very little fade. 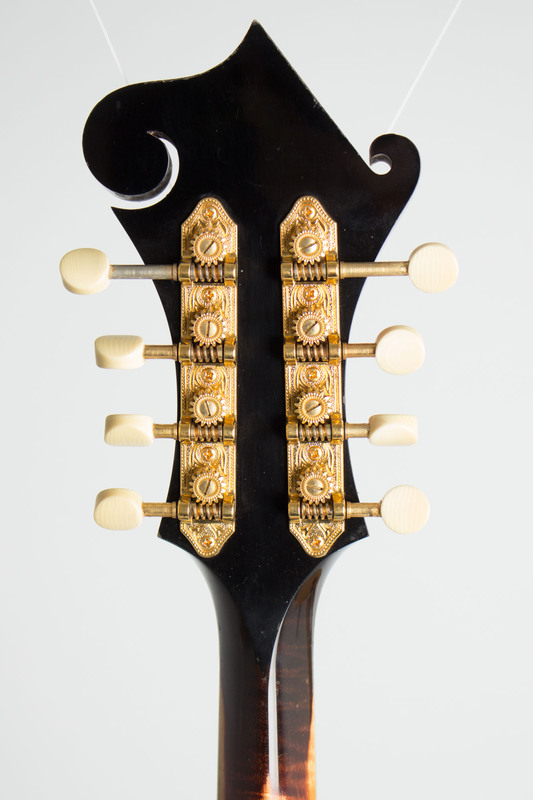 The frets have been recently dressed and playability is excellent, with a sound still maturing 15 years in. Excellent - Condition.